Paris by Design is here! — Sycamore Co.
Paris by Design is here! But I got help. SO much amazing help! First of all, Chaunté Vaughn (photographer), Linnea Paulsson-Neppelberg (designer), and Abrams NYC (publisher) helped make Paris by Design turn out just as beautiful, playful, and sophisticated as I had envisioned. Kate Woodrow at Present Perfect Society as my agent, Laura Dozier as my editor at Abrams, Kari Jorgensen as first round copy editor, and Rebekah Peppler as food and drink editor also did amazing work and made a huge impact on Paris by Design. Then there were the dozens of other contributors, interviewees, supporters, and friends who have all helped make this happen. And Kirk Jorgensen, my super supportive husband, who watched our 2 small kids day after day while Chaunté and I hit the streets of Paris to find, interview, and photograph people and places for the book. I couldn’t have done it without any of them. It takes a village. It really does. A huge MERCI to you all! And a huge MERCI to everyone who has bought the book and/or shared it with friends! I appreciate every single one of you SO much. Take a look at the gorgeous photos below that Chaunté took while we were back in Paris recently to shoot the book trailer. If you haven’t already, please go leave a review on Amazon (and/or Barnes & Noble, Indiebound, etc.) My brother works for Amazon (not in books, he can’t pull any favors for me, haha) and he told me that reviews really do make a BIG difference. Thank you in advance! Frank Barron (aka Cakeboy Paris), who appears in the book. 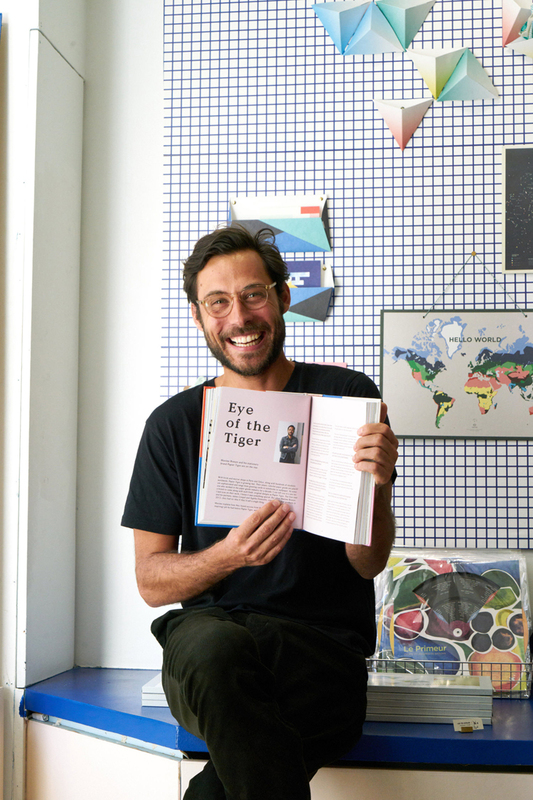 Maxime Brenon, cofounder of Papier Tigre, who appears in the book. Along the banks of the Seine. Looking through the pages of Paris by Design. Louise Jourdan-Gassin, founder of Série Limitée Louise, who is featured in the book. A stack of books at the home of Louise Jourdan-Gassin. 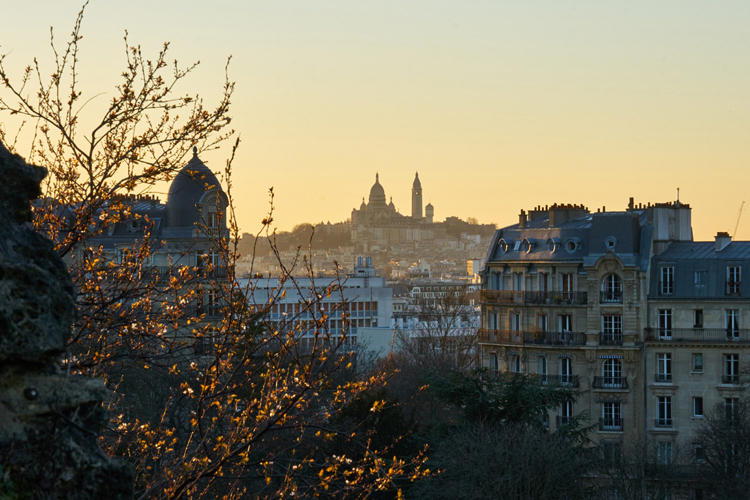 View of Sacré Coeur, from the top of the Parc des Buttes-Chaumont. Marin Montagut, who appears in the book, outside the Fontaine de Belleville. Jasmine Tartine in the 8th arrondissement, Paris by Design in hand. Paris by Design: An Inspired Guide to the City’s Creative Side. Pictured in the home of Béatrice de Crécy, the creative director of Bonne Maison, who was interviewed for the book. Of all the places you could be on the internet, I am so glad that you stopped by my little corner.